Childhood obesity remains one of the most serious public health challenges of the 21st century, hitting as many as 637 children registered as suffered of overweight in Azerbaijan in 2014. The statistics shows that childhood obesity has more than doubled over the past five years in the country. Doctors and scientists are concerned about the rise of obesity tendencies among children and teens because this may cause many serious health problems, including heart diseases, diabetes, asthma, and sleep apnea. Moreover, obese children are more prone to low self-esteem, negative body image and depression. Today about 42 million infants and young preschool and school age children suffer from obesity or overweight throughout the world, according to World Health Organization statistics. 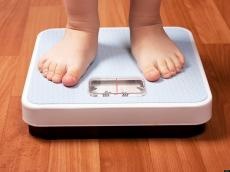 The Health Ministry’s chief pediatrician Nasib Guliyev said that the situation with childhood obesity is not acute in Azerbaijan compared to Western countries. He called a sedentary lifestyle and eating an excessive amount of "fast food" as the common reason of the obesity. Until recent times, canteens in Azerbaijani schools put on display harmful food and drinks, such as doner (like hamburger) and several sweet drinks, which were very popular among schoolchildren. But since canteens in public schools are referred to entrepreneurs, the State Hygiene and Epidemiology Center cannot carry out frequent checks at school canteens unless it receives complaints in this regard. "Although the childhood obesity in Azerbaijan is not widely spread, we cannot completely deny the existence of this problem," said Deputy Director of the Republican Endocrinology Center Babek Salek. He claims that overweight often may occur due to the fact that their mothers refuse to breastfeed. “Now, some women do not breastfeed their child for fear of spoiling their breast shape. They fed their child with infant formula, without adhering to the correct diet. Some young mothers are sure that they should give formula as soon as the baby begins to cry. But overeating without following the necessary schedule frequently leads to overweight,” Salek said. Children’s modern lifestyle with numerous attractive technological “toys” is also a straight road to obesity. If before the up-to-date devices, children spent all their free time running in the yard and playing various active games, then now many children sit at home all day, immersed in tablets, phones, computer screens and TV-sets. Childhood obesity is not primarily be a result of malnutrition, but also caused by genetic predisposition. That’s why before fighting against obesity, one needs to figure out the cause of the undesirable problem -- the overweight may be related to a hereditary factor as well. If parents are overweight, then there is high probability for a child to inherit it genetically.